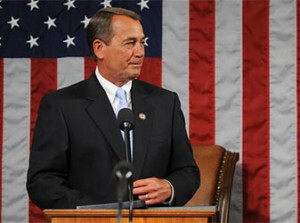 WASHINGTON — John Boehner, the U.S. House of Representatives Speaker, said that the Republican Party will eventually pass immigration reform. Reuters reported the news this past week. But, some feel the onus is on Barack Obama for delaying immigration reform of his own when his Democratic Party had control of both the House and the Senate. The timetable of the party initially had it as a priority for this year, but recent comments (as reported by Hot Air) by GOP Senate Minority Leader Mitch McConnell expressed the opposite sentiment. It seems the Republicans will focus on the problems surrounding ObamaCare, otherwise known as the Affordable Care Act, for the 2014 midterm elections later this year. Obama’s approval ratings have fallen because of the law’s failures and booting several million Americans off of their individual health insurance plans. It also does not help that there are significant security problems facing ObamaCare enrollment. Even NBC’s David Gregory admitted that Democrats will not try to win the ObamaCare debate this past week. Liberal documentary filmmaker Michael Moore called ObamaCare “awful“. Democrats had criticized Obama in private at the White House because they fear that some of them, who are facing re-election, could lose their seats and the party could lose the Senate majority.